Available for Men and Women as t shirts, hoodies, and long-sleeve shirts. You can buy the "squirrel girl" shirt here. 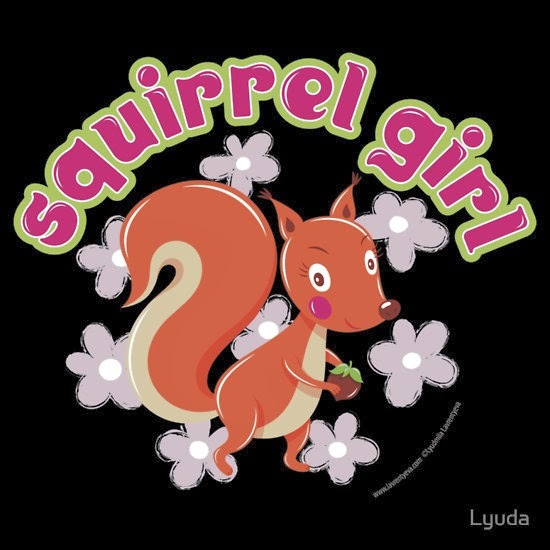 This adorable shirt is perfect for that special lady that you're just "squirrelly" for. With a cute cartoon squirrel prancing among pink flowers and holding a small acorn in its claws, this design engages the eye and provides fun text that pops. And if you think the squirrel girl above is cool, check out the Marvel Squirrel Girl Comic below!